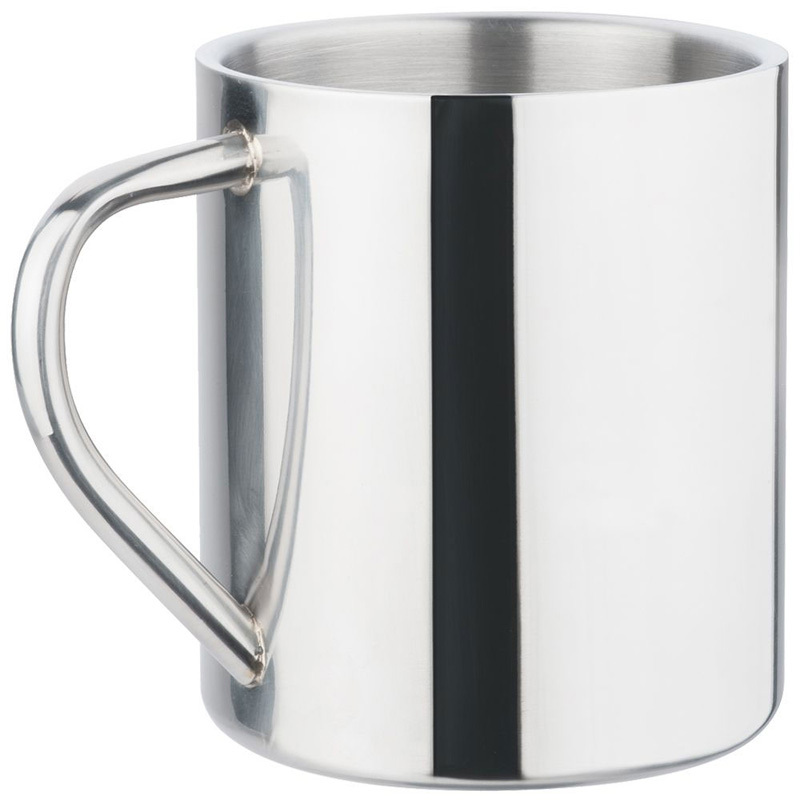 Polished stainless steel mug with handle. Double walled stainless steel 18/8 inside and 201 outside cup. 450ml capacity.